In my experience, the U.S. National Archives website was one of the most difficult to use and poorly organized large online databases. Even if you could find the title to a record you were interested in viewing, it was very difficult to figure out how to get access to the record. Usually, the conclusion was that the record was only available for examination, in person, at the National Archives location holding the record. For that reason, when the Footnote.com website was implemented, it was a major event because the site was established to provide access to digitized copies of the National Archives records. But then Footnote.com was purchased by Ancestry.com and became Fold3.com. It is now far from clear as to how the records in the National Archives are being made available in digitized format. This summer, the National Archives has completed changing their cataloging system from what was previously called the Archival Research Catalog (ARC) to a new system called the Online Public Access (OPA). Unfortunately, it is far from clear how this new system changes the way records are accessed or what records may or may not be available online. The National Archives site says that the OPA prototype currently contains all of the ARC data, including the archival descriptions or catalog records, authority files, and digital copies. For example, the startup page for the National Archives has a search field. If I enter my surname into the field and do a search, I get all sorts of documents listed containing the word "tanner" and any portion of the word, such as "tan." So far, I haven't figured out how to get a meaningful response and further, how to figure out which documents are available online and which are not without clicking on each document. I am going to spend some time working with the site and see if I can figure out any faster way of doing real research with their online records. Stay tuned. Note: (You may skip this first paragraph if you have read the previous parts) This is a series of posts that reflect the classes I have taught about breaking down brick walls in genealogy at the Mesa FamilySearch Library. My next series of classes on this subject is scheduled for August, 2013 beginning on August 8 and continuing on Thursday and Friday mornings for the rest of the month. For more specific information see the Mesa FamilySearch Library Schedule of Classes. These posts are not necessarily class notes, but rather reflections on the subject matter covered in the classes. Also note, that I have discussed some of these subjects before, but I am repeating some things for emphasis and because I need to prepare for the classes. If we think about the way people's lives progress, we all share a common human experience: birth and death. Our direct ancestors must have survived long enough to have children or we wouldn't be here. A standard pedigree chart shows four or five generations, with specialized charts going back to ten generations or more. This is the framework of the structure upon which you build your genealogy. There is a difference between claiming a brick wall for one of you direct line ancestors (grandparents, great-grandparents, great-great-grandparents etc.) and claiming a brick wall on a collateral line, such as the sibling of a grandparent, the spouse of a sibling or whatever. Collateral relatives are those to whom you are related by blood, but are not your direct line ancestors. Therefore, your ancestors are your parents, grandparents, great-grandparents, etc., and your collateral relatives are your cousins, nieces, nephews, aunts, uncles, siblings, etc. Now, you are usually not related by blood to your spouse (although you may be if you married a cousin). Likewise, you are not blood relations to the spouses of your collateral relatives. For example, I am not related to my great-uncle's wife the same way I am related to my uncle. My uncle and I share a common parent (grand-parent) but his wife has an entirely different set of blood line relatives who may or may not be my relatives. Now, at this point, I need to discuss pedigree collapse. This is an inevitable and unavoidable, basic fact of genealogy. As we go back in the past our pedigree takes the shape of a snake that has swallowed some large animal. If you think about it, your number of ancestors doubles in each generation: 2, 4, 8, 16, 32, 64, 128, 256, 512, 1024, etc. If you were to go back thirty generations you would, theoretically, have 2 to the 30th power direct line ancestors or well over the entire population of the world at that time. So what happens? We all end up marrying cousins. Eventually, the pedigree line collapses and the number of real direct line ancestors begins to decrease rather than increase. For example, the offspring of two first cousins have at most only six great-grandparents instead of the normal eight. One problem with using a standard genealogical database program is that these programs do not adequately reflect pedigree collapse. For example, my parents were second cousins. If I go to FamilySearch.org's Family Tree and show my pedigree in a fan chart, it will show four generations of my direct lines. What it does not show is that my mother's grandfather and my father's great-grandmother were brother and sister. So, from a practical standpoint, if I am working off of a standard fan chart or pedigree chart, I may not even realize that the lines cross. Now, as you build your genealogy on a direct line, you take advantage the of the research that you do at each generation. For example, as I investigate the lives of my parents, I find information about their parents and so forth. If you try to skip a generation, you may get lost. First, you are ignoring the information you could have obtained from the descendants of the direct line ancestor and second, you are making an assumption that the person you are investigating or researching is the correct person. As an example, let's say I have inherited a pedigree chart from someone in my family. I notice that going back a couple of generations, there is a blank space for my paternal great-great-grandfather, I immediately decide that I want to find him and start doing research. I cannot tell you how many times this occurs. Unfortunately, the person doing the research has no idea who the great-grandfather is and does not even know if the right person is recorded. This is like trying to build a bridge from the middle out of the two shores. There is no anchor or foundation for the research. Now, what you do when you start researching the spouse of a collateral relative is exactly the same thing. You are building a bridge in the air. You have done no research at all on the children of that spouse and you have no idea if the spouse is correctly identified. So you don't start with the missing spouse, you start with the children or grandchildren. You can't start doing effective research without the foundational research that provides a base for the investigation. You may find the person or you may not. But if you have failed to do foundational research by examining in detail the children of this collateral relative and his or her spouse, then you are building a bridge in the air. Why do you think I find so many of the children of my ancestors assigned to the wrong wife of my collateral relatives? It is because the researchers start doing the research with the spouse and ignore the research on the children. Come forward. This is one of the keys to finding an ancestor. It may seem like a waste of time to do the research on each child and each grandchild, but this is exactly what needs to be done. You have to know who you are trying to research. The difference between claiming a brick wall for a direct line ancestor and a collateral ancestor is simple; the amount of research you have already done on the person's descendants. Usually, researchers have done little or no research on the descendants of their collateral ancestors. I thought I would pass on a link to this amazing article about the efforts of MyHeritage.com and its CEO Gilad Japhet concerning the compensation for Jewish-owned German property that had been confiscated by the Nazis during World War II. This break through could not have been accomplished without the combined power of social networking and online family trees. Who can tell what other types of effects these huge online databases will have in the future? International Conference on Jewish Genealogy to be streamed live. Boston LIVE! As announced in the Israel Genealogy Research Association (IGRA) newsletter, arrangements have been made to "stream" a selection of 50 lectures from the upcoming IAJGS International Jewish Genealogy Conference being held this year in Boston. IGRA has also released four new databases in time for the upcoming International Conference on Jewish Genealogy in Boston: Graduates of Gymnasia Herzilia 1918-1948, List of Names in the Register of Adult Jews in Petah Tikva 1936, Marriage Certificates Jezreel Valley 1931-1941 and Voter List Tel Aviv 1922. Check out the promo and visit the AID (All Israel Databases) section in their website. The first ever IAJGS Conference LIVE! will use the latest video streaming technology to live broadcast from the 33rd IAJGS International Conference on Jewish Genealogy. Annually, the International Association of Jewish Genealogy (IAJGS) brings the best minds and knowledge in the field of Jewish genealogy to its conference. This year, the conference, co-hosted by the IAJGS and the Jewish Genealogical Society of Greater Boston (JGSGB), will be held in Boston August 4 through August 9 and more than 1,000 attendees from 17 countries will attend. However, via LIVE! video streaming, anyone in any location with the desire to learn more about their Jewish family history will be able to tap into this knowledge and attend the event via the Internet. LIVE! will broadcast approximately 50 sessions over five days from the Boston venue. LIVE!participants will be able to view the sessions in real time via an Internet connection to a computer or tablet or smartphone. Sessions will also be available for playback for three months after the conference. Handouts, where provided by the speaker, will be available via download.LIVE! participants will be able to ask questions of the speakers and panelists via Twitter. LIVE!participants will be able to join either by paying a daily fee or a fee for the entire five days of sessions. IAJGS Conference LIVE! is being produced by the IAJGS, FamilySearch, and thanks to the generosity of Harvey Krueger. You may sign up for viewing a full day's scheduled LIVE! sessions, $49 USD per day, or for the full week (five days), $139 USD. Both Waiting for Godot and Tobacco Road express a nihilistic, extreme sense of the hopelessness of existence. The characters in both appear to be frozen in the misery and lack of purpose of life. It is arguable that this lack of purpose arises from a total lack of continuity with the past. The characters appear to have no past and no future. Personally, I do not care for either of the two and both illustrate the antithesis of my own beliefs. Both works are in sharp contrast to the reality of the day to day work of a genealogist. Although, we may find the same level of hopelessness and misery in our ancestors' past lives, we realize that there are, in fact, ways to avoid the tragedy and learn from the lessons of the past to improve our lives. Genealogy is outward looking, and contrary to nihilism, affirms the importance of the meaning, purpose and intrinsic value of life. By investigating our ancestry, we should begin to realize that there are things we can do in the present to change the outcome of the actions of our ancestors. Although we are the sum total of our ancestors, our lives are not predetermined by their actions. Genealogy is a positive force for helping people realize their full potential. Knowing the struggles, challenges, failures and successes of the past will help us to avoid the hopelessness of a nihilistic existence illustrated by the two very negative examples above. I cannot imagine the characters in either work having an active interest in their past history or investigating the lives and learning from the lives of their ancestors. It is true that genealogy has been and can be a way to create social divisions. Historically, genealogy was used by the "upper classes" and royalty to establish their position in society and justify their feelings of superiority. To some extent, genealogy still has that anti-egalitarian tendency, when researchers attempt to prove connections to famous people or royal lines for the purpose of self aggrandizement. But by and large modern genealogy arises from a need to overcome the modern fragmentation of society and to help the individual reach out to his or her ancestors in a meaningful way. The divisional aspects of genealogy largely result from focusing on an individual line of family research and ignoring all of the other lines. It is almost inevitable, it we wish to use our genealogical research for that purpose, that we can establish a relationship with some type of social importance, generally to royalty in some form. It is when we justify our feelings of superiority through this research that social divisions become the object of our research. In reading about the history of genealogical research, it is evident that a broad societal interest in genealogy is antithetical to both racial and class divisions. If genealogical pursuits are limited to the dominant class or race, then it becomes only one more way to justify oppression and social division. For that reason alone, genealogy as it is proceeding today as a broad pursuit that cuts across all levels of class and race, is a valuable component in overcoming that same racial and class divisiveness. In the words of Socrates, as quoted by Diogenes Laertius: "The only good is knowledge, and the only evil is ignorance." Further as written by Mark Twain: "Very few things happen at the right time, and the rest do not happen at all. The conscientious historian will correct these defects." See Twain, Mark. A Horse's Tale. Champaign, Ill: Project Gutenberg, 1990, attributed to Herodotus. I am not too sure about the quote from Socrates, I think there can be knowledgeable evil, but I do agree with Mark Twain (and perhaps Herodotus), that historians ofter modify history as do many genealogists. I picked up a story yesterday written about one of my son-in-law's ancestors and began like a Victorian romance novel. It was a story about pioneers and I can only assume that as the trudged across the continent, they did not feel all that romantic. Now, there is fiction and there is history, I suspect that a lot of what I read in stories about my own ancestors is more fiction than history. Is this bad? Well, I suppose if you like historical fiction it isn't, but if you are researching history with the intent of preserving what happened, it certainly creates some very interesting problems. I may have mentioned this before, but one persistent story from my past, involves one of my Great-great-grandmothers who is supposed to be the illegitimate daughter of a King of England. I won't repeat the details here because of the fear I have that my repeating the matter will only lead to further speculation. There is absolutely no basis for the story which likely arose as a result of some attributed opinions that the ancestor looked very much like Queen Victoria. But I had that story told to me by one of my cousins as actual fact. Stories have a life of their own and like the game of messages (with a lot of different titles) where the participants whisper a phrase to someone and pass it down the line and then compare the original to what gets related at the end of the line. I don't want to diminish the value of stories to give life to the dead past, but the stories shouldn't do this at the expense of historicity. Careful research will sometimes uncover facts that exactly contradict a traditional family story. This is especially true when the story involves a famous historical figures. People have a tendency to enhance the relationships their ancestors had with important people. My Grandfather may have been a private in the National Guard, but he served with Pershing and Patton in the Mexican Border Campaign, despite the fact that he may never even have seen either of these men. In the retelling, the story could likely enhance the contact he may have had with either of these historical characters. The value of stories to turn the hearts of the present generation to the past is evident, but it is a jarring experience to find out that the treasured story, told to you in your youth, has very little, if any, support in the history of your ancestors. This is also true for newspaper reports. If you happen to know the details of a news story, because you are or were involved, you can frequently pick up small and large errors in the reporting. This is particularly true of stories that have a dramatic or emotional impact. The writer will almost always try to increase the appeal of the story by increasing the drama. The same thing happens when a story is transmitted from the past. In even some simple things, some of my close relatives related stories about their own past that discovery of documentation refuted. One example was the difference between how well one relative did in school and subsequent discovery of a series of report cards. Again, I don't go into details or give names to protect the innocent. I guess the summary of this post is that any transmitted story should be checked against the known facts and preserved as a "story" and not as history. If there is substantiation of all or part of the story, then a citation to a source should be provided. Simply copying and repeating traditionally held stories is not history and certainly should not be genealogy. OK, so you might have a question concerning what I am posting about when I refer to obscure sources. It is not so much that the sources themselves are obscure, but that they are seldom, if ever, considered by the genealogical research community. Just to give you an idea of what I am talking about, here is a list of agricultural affiliated organizations in Utah. Just to make a point, I thought I would list them all in alphabetical order: (The page number is to the page of the linked document). Any of these familiar type organizations? My point is that each of these organizations has records that may contain information about your ancestors assuming, of course, that the ancestors were involved in agriculture. My further point is that almost every state in the U.S. and many foreign countries are going to have similar lists of organizations, not just for agriculture, but also for all sorts of other businesses and activities. In which I eat my words, yet again. In my last post, I made an unfortunate brief, off-hand comment for which I should have known better. My reference to the USGenWeb.org was not well thought out. Thanks to a commentator for keeping me on track. Please accept my apology. Clicking on a State Link (on the left) will take you to the State's website. Clicking on the tabs above will take you to additional information and links. You can also use the drop down menu in the upper left hand corner which will also take you to the State's website of your choice. All of the volunteers who make up The USGenWeb Project are very proud of this endeavor and hope that you will find their hard work both beneficial and rewarding. Thank you for visiting! • Transcribed census records, tombstones, deed records, etc. The USGenWeb.org and all the subsidiary projects are an extremely valuable place to find local sources not available from other online sources. From the comment it is true that the USGenWeb.org contains a considerable amount of source information, depending on the activity of the volunteers in the counties. Once again, please accept my apology for a misstatement regarding sources. I can't decide whether I classify it as a link-to site or a database. It certainly has both features. I would put it in the same category as Cindi's List and the FamilySearch Research Wiki, but with names in addition to sources. What I said about being searchable is correct. If you do a Google search for your family names, you will find content in the USGenWeb.org. Yes, this is a post in response to Kimberly Powell's About.com article with almost exactly the same name. Her article is "Top 10 U.S. Databases for Tracing Your Family Tree." Although this just popped up today, I think it may be a little out-dated. But it is a good place to start and About.com has a lot of really helpful articles. My own list differs significantly from Kimberly's but does have some of the same websites. I will let you go to Kimberly's article to see her list rather than copy it here. Since I have just written about all three of these sites in the last little while, I will forego any further comments. They all have huge databases of digitized and indexed records to research. Both Ancestry.com and WorldVitalRecords.com put their records right up front on their websites. If you go to FamilySearch.org, click on the Search link, at the top of the startup page, to see the records. FamilySearch has a recent tendency to downplay (hide) the source records, but they are still there. Now, where would I go next? Well, I would do a Google search for the names I was looking for (sometimes adding the word "genealogy" to the name helps). Then I would search in Google Books for any written or published family histories about the surnames in my research file. Then I would look in WorldCat.org for additional published material about the names and families I am searching for. But, technically, these are genealogy databases, even though they contain endless information about my family. But back to dedicated databases. What could possibly be next after the Big Three? Unless you have ancestors in the military, Fold3.com (formerly Footnote.com) now a part of Ancestry.com, is not that helpful, but it does have some valuable records. Very few of my ancestors served in the military, so this isn't a big source for me personally, but it always helps to check. Likewise, I find the U.S. Archives website to be archaic and virtually unusable. So I would have to disagree with Kimberly on both of these sites. Also, I might note that the Family Tree Connection, listed by Kimberly, has been merged into the Genealogy Today Subscription Data Collections. By the way, the LDS Family History Centers have many of the subscription services online for free for use in the Centers. Hmm. I have only gotten three sites listed so far. What could be next? Well, here is my real practice. I don't find any of the other databases listed by Kimberly Powell to be "must use" sources. I do use the U.S. Gen Web and RootsWeb (also owned by Ancestry.com) but I would not consider either of them to be go-to places initially for research because most of their information is unsourced and further, shows up in Google searches. I guess I am struggling to come up with a list. But I do have some more suggestions. How about Mocavo.com? I don't think this genealogy search engine is a database, but it is certainly valuable. For searching newspapers, how about Elephind.com? This search engine searches the Library of Congress Chronicling America database and many others. I would also have to rank Archive.org and the Hathi Trust as hugely important for genealogists, but they aren't genealogy databases either, but they have huge resources including Archive.org's complete 1790 through 1930 U.S. Census records and the U.S. Census Soundex. Let's not forget Cyndi's List. Cyndi has a hugely valuable source of listings in every conceivable category. I also like sites such as ProGenealogists.com (also part of Ancestry.com) for the lists of links they have to genealogy sites. This is getting serious, I haven't made it to number four on my list yet. There are a lot of digitized newspaper sites, some free, some subscription, and I use as many as I can, but none of them are so comprehensive as to be singled out except perhaps the ones on WorldVitalRecords.com. I am starting to repeat myself, I fear. Of course, as long as I am mentioning huge websites, I must include Trove.nla.gov.au and Europeana.eu. Oops, we were talking about the U.S. weren't we. Well, I'll think about it some more and see if I can come up with seven more U.S. databases to search. When you start looking for an ancestor; where do you start to look first? If you are like most of the researchers in the United States, you likely begin by looking for your ancestors in the U.S. Census records. Well, suppose I suggest a different way of doing research? By no means do I suggest that you do not use the U.S. Census records (or any other census records from a U.S. state or records kept in any other country) because they may answer the first questions about finding someone in historical records. There are three things you need to know to identify a person; a name, a date and a place. Names can vary and change at a whim and people have even been known to mis-spell even their own names. Dates are usually vague. People have been known to lie about their age, women for a variety of reasons and men for different, but just as effective, reasons. A woman may have gotten married at age sixteen or even fourteen and wanted to appear older. Or she may have gotten married late in life and wanted to subtract a few years. Men may have wanted to join the military or its opposite: avoid the draft. People have all sorts of reasons, in addition to poor memories, to give inaccurate dates. Where does that leave us as genealogical researchers? The most important fact of all is the place where an event occurred. There is only one unique place on the earth for each physical event (although one of my great-grandparents managed to be buried three times in three different cemeteries, but that is another story). Identifying a place far outweighs the name or the date in importance. The research to identify a place needs to be very, very, specific. What happens if you ignore this rule? Nothing. Oh, that's what I mean, nothing happens, you don't find your ancestors. The reason is simple, all genealogical records originate in the jurisdiction of the place where the event occurred. Jurisdictions are like individual pancakes. They stack up. There are genealogically important records that are only maintained on a national (or even international) level. Likewise each lesser jurisdiction has its own records. For example, in Arizona, death and birth records are presently maintained on a state (or district or provence or whatever) basis (that wasn't always true and only happened quite recently, since mandatory records of births and deaths date only from about 1906). Some records are only kept at the county, township (where there are townships), municipal or town or village level. So, the first step is identify the location, that is, a very specific location, not something vague like Ohio or North Carolina, and then begin to search for specific records generated at each level of jurisdiction that existed at the time of the event. Saying your ancestor was born (or married or whatever) in Kentucky is not very helpful unless you are ready to search every single record source in ever single jurisdiction in both Kentucky and, depending on the time period, Virginia. That means every one of Kentucky's 120 counties and every one of Virginia's 95 counties and 30 independent cities including all their historical previous iterations. So you had better know your history and geography if you want to keep finding ancestors. Oh, and by the way, it also a good idea to be conversant in finding and reading maps. Most importantly, researchers need to sort out the political, religious and social boundaries that govern where records are kept. If you ancestor was a Protestant in England, the records of his or her life may have been kept somewhere besides the Church of England, but for some Protestants, their records reside in the Church of England because they went to the Church to get married even though they were Protestants. Not knowing this kind of fact, simplified as it may be, can create an issue with finding the records. I can say with almost complete certainty that the vast majority of brick wall situations in genealogy are caused by looking in the wrong place. In a significant number of cases, in a place that did not exist at the time of the supposed event. Jumping into a research project to find Great Uncle Rodney, is hopeless if what you have to go on is that he came from New York or where ever. To begin your search, you must begin at a specifically identified place. Let me say that again, you must begin at a specifically identified place. No ifs, ands or buts. If you don't have a specific place for Great Uncle Rodney, you have to start by gathering further information for the first person most closely related whose event location you can identify with certainty. Back to the so-called brick wall. In fact, the wall isn't made of brick at all. It is made of ignorance of the place and the history of the time. To understand this, researchers must differentiate between an end of line and a "brick wall." An end-of-line event occurs whenever there cease to be records to support further research. This can happen in the first generation with an illegitimate child when the mother refuses to disclose the father or doesn't know the father. There are a few things a researcher can do to extend the line to the father, but this is usually not the case. Another example of an end-of-line is a foundling, left on the doorstep of a church or other institution. There may or may not be any way to find the parents, but if not, it is an end-of-line. A third example is the ancestor that simply disappears. Fathers did desert their families and change their names. These things happen and may create an end-of-line. Any time the records fail, either sooner or later, there is a possibility of an end of line, usually this occurs sometime in the mid-1500s in Europe or earlier or later depending on the country. In any end-of-line situation, there is always a very slim chance that additional research will finally yield results. But with brick wall situations, it is almost certain that additional research at the right time and right place will yield additional information about the individual or the family. The problem is assuming that there are no records or not knowing about the records, when, in fact, there are records if you knew they existed. I can say with assurance that it is virtually impossible for one person to "search all the records" that might or can be found. Over the years, I have had dozens of people come to me with the statement that they have searched every conceivable record over periods of many, many years, and I have always been able to suggest additional records that remain unsearched. I do not make that statement lightly. I do not claim to find the lost relative, but I am more than reasonably sure that there are always records that have not been searched, most of the time records whose existence is entirely unknown to the researcher or researchers and most commonly, as I have already indicated, because the search has been made in the wrong place. Sometimes when I am asked about a brick wall situation, I do not know the identity of the records, but I do know that additional records do and must exist. For example, when was the last time you searched the records for livestock brands? I have found livestock branding records in early New England town records, they are not just a wild West phenomena. Remember, this class series I am teaching about breaking down brick walls, in this session, goes on for 16 hours of class. So this series could go on for a very long time. In the United States, there are three big genealogy companies with huge online databases. I am often asked which is the "best" or which one should the research use. Most researchers seems disappointed to find out that I use them all, plus dozens (hundreds) of other online resources. But I have been wondering: is there any real way to compare the three? I recently examined the three different search engines and wrote a post comparing them to each other. So, I went back to see what I had written. Hmm. Must be advancing age. I was sure it was recently, but it turns out it was in March of 2013, almost five months ago. Time passes when you are having fun. Back to the idea of comparing the offerings of the three U.S. online mega-databases. I am purposely omitting references to findmypast.com, not because they don't have a huge and valuable database, but they specialize in United Kingdom and related records and so their focus is different that the three U.S. based databases that go head-to-head with information for U.S. researchers. All of these databases have records from other places around the world, but the other three have historically focused on the U.S. with some U.K. records. One of the first questions is are the three duplicative? Oh, by the way, I am talking about Ancestry.com, WorldVitalRecords.com (aka MyHeritage.com) and FamilySearch.org. I am going to ignore the fact that FamilySearch.org is free and the other two cost money to use, because I am going to assume that you use all three for free in a FamilySearch Center. This, of course, brings up another interesting fact; finding a link to the available FamilySearch Centers is practically impossible through FamilySearch.org. In addition, the program cannot find me a local Family History Consultant, when I am the local Family History Consultant. But that is another post and another day's work. Perhaps FamilySearch should put the things people really use and need on their startup page, instead of the things they want people to use and need? Back to the comparison. All three of these databases are moving targets. They are always adding new records and new services. FamilySearch.org adds millions of new records from its established microfilm collection and on-going digitization projects. Ancestry.com adds new records every so often. For example, here is a link to a blog post about new Ancestry.com collections. So here is the first comparison; how many other countries are covered by the databases? Now here is another issue. 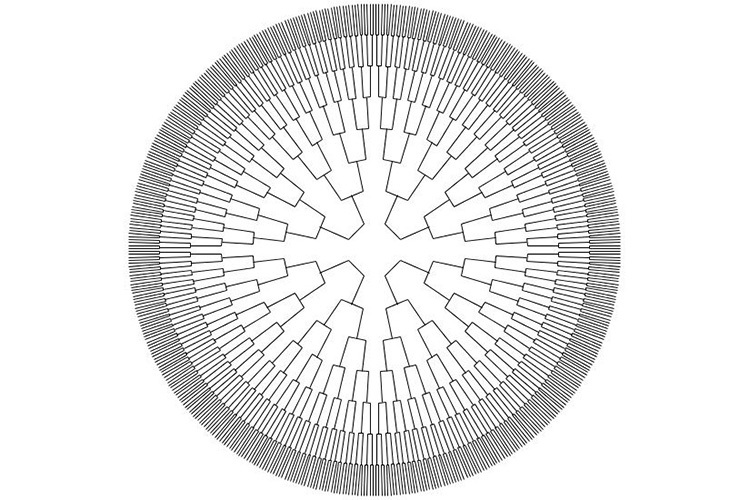 Do we discount the entries in user submitted family trees? For this comparison, I am doing just that. I will do another comparison of the family trees but not this time. This one is easy. FamilySearch.org wins hands down with this one. Try looking for records in Luxembourg for example. FamilySearch has six collections with millions of records and Ancestry.com comes in a dim second with a handful of records although looking in the Ancestry.com Card Catalog would seem to indicate otherwise, unless you examine the offerings one by one. In a search for records in Ancestry.com, the Card Catalog (list of all databases) shows 24 items for Luxembourg. If you take out the general ones, such as the Public Member Family Trees and the Holocaust records or New Zealand World War I Records, you end up with less than 2000 actual records. WorldVitalRecords has no listing for Luxembourg. I could go on with records from FamilySearch.org because its collections are very broad with millions of records from Africa, South America, Central America and other locations including Chinese records by the millions. But let's go to newspapers in the U.S. for another example. Here, FamilySearch.org drops off the map entirely with only one collection dedicated to newspapers and that is for cuttings from Australia. See Australia, New South Wales, Alphabetical Index to Newspaper Cuttings, 1841-1987. Ancestry.com appears to have extensive collections of newspapers with 1,413 collections in its Card Catalog, but again, this is a list of holdings in individual newspapers, but pretty impressive none the less. WorldVitalRecords.com seems to come out on top with a large number of individual newspapers and the Newspaper Archive Collection of over 2 billion estimated names. This points up an important issue: aren't I trying to compare apples, oranges and pineapples? Don't each of these huge collections have their own strengths and weaknesses? Yep. That is an issue alright. Usually, I end up telling people who ask to try out all four of the big databases and see which one has the most records from their area of interest. What it boils down to is that each of these databases have huge amounts of data about people all over the world and since they provide this for genealogists to use, we might as well use all of it. In a very detailed post by Robert Kehrer, FamilySearch.org announced the implementation of several "major feature enhancements" to the search functions in the Historical Record Collections. Rather than copy the entire article, I suggest that there may be a good reason for anyone using the search function to read and study the changes. Some of the changes enhance the ability of the users to attach records to individuals in the FamilySearch.org Family Tree program. Other new features appear to be aimed at the power user, such as the ability to export some searches to a spreadsheet program for further analysis. There is a stream of new functions and features for the FamilySearch.org website with frequent changes to the site. If you haven't visited the site in the last few months, you will find it has changed considerably. In the past, there has been an undercurrent of criticism of the search functions on FamilySearch.org, but the newest changes as outlined by Robert Kehrer address some of the issues previously raised. The real question is not the addition of new features, but whether or not the search engine will find individuals within the database. My analysis in a recent post, showed that FamilySearch was well behind both Ancestry.com and WorldVitalRecords.com in finding relevant information. For example, a search for my Great-grandfather's records in the Historical Record Collection resulted in 52,342 records. The search was for Henry Martin Tanner. By marking the exact checkboxes for both his first, middle and surname, the number dropped to 8,032 records. But even with the checkboxes for exact matches, I still got a significant number of false positives for "Martin Henry Tanner" not the same person. By further filtering the records to the United States and Arizona, the number dropped dramatically to 32 records, only a few of which pertained directly to "Henry Martin Tanner." With the new enhancements to the search function, I got references to children and grandchildren and still got several false positives. Interestingly, the search only found 3 of the U.S. Census records of which there are 5. It looks like even with the enhancements, the search function could have some improvements. It will take me some time, but I will do a more in depth comparison of the three major online search engines that contain information about my near relatives. The only way I can see to compare the three programs is to do searches with names that I know have a certain number of records and see if the three databases, Ancestry.com, WorldVitalRecords.com (MyHeritage.com) and FamilySearch.org perform with providing results. There is not necessarily competition in this area between the three record sources, but matching the results from the three companies gives an idea of what can be done with these large databases and the room for improvement. The basic question is: What is the point of having a huge number of records if what is there cannot be found? According to some sources, 5 Exabytes of storage could record every word ever spoken by every human being ever. The above article says that yottabyte storage for the NSA is not realistic and that the site will likely hold only (if the word "only" can be used in this context) 12 exabytes of information. I guess a mere 1 million of anything is looking pretty puny lately. An additional third-party Certified program has been added for FamilySearch.org's Family Tree and others have been upgraded. As always, for the latest news, check the Products page of FamilySearch.org located from an "About" link at the very bottom of the startup page and then by clicking on the Products link on the About page. The newly Certified program is TenGenCharts, a service for printing large, ten generation, fan charts. An example of a chart is shown above. You use their online software to create a chart from Family Tree and then take the file to a suggested service for printing. Ancestral Quest and Ancestral Quest Basic are now Tree Share certified. Ancestral Quest is the easy-to-use, full-featured family tree program that received the “Most Comprehensive Syncing” award from FamilySearch. The Windows versions of PAF were created from an earlier version of Ancestral Quest, so PAF users will feel right at home using the screens, reports, and other functions. Ancestral QuestQ includes scores of new features not found in PAF, such as its Ordinance Reservation and Tracking System, which helps users keep their personal data in sync with temple records. Whether you are a PAF user looking for an upgrade, or a new user getting started, Ancestral Quest is the ideal program to help you organize your family tree. Celebrating My Family Tree and Me is Tree Share certified. Celebrating My Family Tree and Me offers elegant reports, charts, calendars, and customized printing; and unlimited storage of photos, sound clips, video clips, and other precious documents; generation of research books, slide shows, and scrapbooks. It provides simple notes and source citation entry and private online collaboration of group projects; and it imports data seamlessly from PAF and other genealogy programs. Legacy Family Tree is now Tree Share certified application. Legacy Family Tree is the FREE genealogy software to organize, research, and publish your family’s tree. Use Legacy to print maps, get research suggestions, collaborate with other family members, cite your sources, publish books and shareable CDs, and do much more. Legacy makes it easy to work with FamilySearch and will measure your progress against the goals you set for temple work. Easily import from PAF and other programs. Get started today by downloading Legacy for free. RootsMagic and RootsMagic Essentials are the first Tree Share certified applications. Winner of the FamilySearch award for “Easiest to Sync,” RootsMagic 6 genealogy software makes working with new FamilySearch a breeze, including reserving ordinances and creating temple trips. Import directly from PAF, new FamilySearch.org, and other programs. Take advantage of other features, such as running RootsMagic directly from a USB drive, SourceWizard, integrated web search, creating Shareable CDs, and much more. Whether you’re a beginner or an experienced genealogist, RootsMagic makes family history easy. Both RootsMagic and Legacy Family Tree have announced recent upgrades to their programs. RootsMagis Version 6.3.0.0 has implemented a new feature called Problems Alert. The program will problem check the individuals in your file in the background and display an alert next to the name of any person with a potential problem. Legacy Family Tree Version 7.5 is Tree Share Certified. If you have either of the two programs, you may wish to check the version number you have and download the most recent version. If you program is a whole version number behind the present versions, you may need to pay an upgrade fee for a copy of the most recent version. Incremental, between whole number, upgrades are usually free. Mathematical equations can sometimes tell such a convincing tale, they can seemingly radiate reality so strongly, that they become entrenched in the vernacular of working physicists, even before there's data to confirm them. See Greene, Brian, Mind Over Matter, Smithsonian Associates. Smithsonian. Washington: Smithsonian Associates, July/August 2013, page 27. Even though this article deals with the discovery of the Higgs boson, the statement has relevance to genealogical research also. Unfortunately, there is no "mathematics" of genealogy. I have suggested in the past that we need to develop a standardized genealogical metadata that would serve approximately the same purpose, but have had little or no response to the idea. If you think about it, much of what we posit as genealogical researchers falls in the category of theory. Although we may personally accept the evidence we have accumulated as "proof," there are no absolutes and, as I have posted recently, it is unlikely that any historical research, including genealogy, can achieve a significant measure of absolute truth on historical subjects. The statement above gives an insight into the workings of physical science that parallels the processes of historical inquiry. Just as in physics, stories and personal views of the past can become entrenched before there is adequate data to support them. In the case of the mathematical equations that demonstrated the existence of the Higgs Field and ultimately resulted in the discovery of the Higgs boson, it took fifty years or so of research before the final confirmation. As is common in science, the initial theory was widely rejected and then slowly gained acceptance. As genealogists, we need to realize that some of our most cherished stories from the past may have no factual basis. In the case of the posited theory in physics, there is a peer review and publication mechanism for establishing valid theories. In genealogy, a similar process exists, but it is closed to all but a very small minority of genealogists. If I were to try and write an article, any article, for one of the established genealogical journals, it would likely be rejected out of hand. What is this? Physics, unlike genealogy, is an established academic discipline. Publication is the way of advancing in the academic world. I am speaking from experience having participated in the process of publication in the field of Linguistics in the past. But genealogy has no established academic system. The accredited and certified genealogists have created their own closed system that is only very partially acknowledged and accepted generally among all genealogists. As a matter of fact, very few genealogists are even aware that such a system exists. The contrary is true in a physical science such as physics. All physicists are part of their own system. Because genealogy has no such centralized culture, the accredited genealogists act more like a social club than an academic culture. Why would anything I wrote be rejected? Likely on purely formatting and stylistic grounds. So can genealogy achieve a breakthrough like those in physical science? No. Simply because there is no mechanism for this to happen. A widely related and repeated story, no matter how baseless, will never be corrected in genealogy. Yesterday was the 24th of July. I have mentioned recently that the 24th of July is a local holiday among those whose ancestors migrated to Utah as pioneers between the years 1847 and 1868, the date of the arrival of the railroad. The 24th of July is primarily a holiday for members of The Church of Jesus Christ of Latter-day Saints (LDS), but in Utah it is also a state holiday. As part of the celebration, my wife and I and some of our family attended an annual Ice Cream Social in Provo, Utah. One of the interesting things that was said, among others, was that there were some families living in this particular LDS Ward (a small geographic subdivision of the Church) whose ancestors were some of the original settlers in Utah Valley and had lived in this same small area since the early 1850s. Provo, Utah was settled in 1849 and was the first Mormon settlement outside of the Salt Lake Valley. I also read a recent article in the New York Times entitled "Family Tree New York" that talks about families in New York City that have lived in the City for generations. In my own city of Mesa, Arizona, I am acquainted with descendants of the original pioneers. I am certain, that in every community, except perhaps places such as Sun City, Arizona and other recently established communities, that there are people who have lived in the area for generations. In many cases, I am equally as sure, that genealogists can benefit from talking to these older residents of the places where their relatives lived. It may be possible to identify the actual residence or land where your ancestors lived. Of course, finding this information may take longer than a casual visit to a court house or local library, but using local resources such as museums, historical and genealogical societies and other organizations, may help you to find these families with long-time ties to any particular area. I once attended Church in Newport Beach, Rhode Island. After the meeting, I was talking to some Tanner relatives who were actually from the West, but had moved to Rhode Island. They introduced me to a relative whose family had lived in Rhode Island for twelve generations and with whom I was related through a common ancestor. These people can be found and may have records, artifacts or insights into the local history not available in books or online. Some researchers look in the local telephone book (now online) for surnames and simply start calling people with the same surname. Just a thought of another way to get useful information and break down brick walls. Is Genealogy the Search for Historical Truth? 50 genealogy blogs you need to read in 2013! What is really important in genealogy? What make FamilySearch Family Tree Different? What happened to the FamilySearch books? How will Celebrating Family History work? When is a fact proved? Who will be my millionth page view? Why do I care about those details? What's so private about genealogy?